In my last newsletter, I asked for people to hit reply and ask me anything. I would post answers to their questions here on the blog and back in the next newsletter as well. Aren’t subscribed to my newsletter? You can sign-up here! 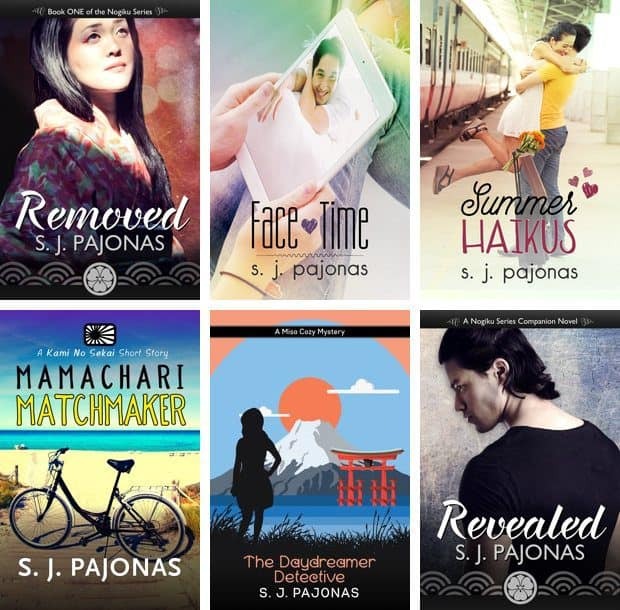 So, some people may not know this but I have designed most of my covers until recently. In fact, I’ve designed all of my covers on my own, excepting FACE TIME‘s first iteration, which was designed by Carrie Butler at Forward Authority. Previous to becoming a full-time author, I worked at HBO.com and before that I worked at a few other web design companies. I’ve used Photoshop since 1998, back when it was Photoshop 2.0 and you couldn’t even move layers around! Yeah, I’m old. Anyway, I have pretty good Photoshop skills so I figured I would design my own covers. My first few covers were pretty bad, but I got better with The Nogiku Series and did well with FACE TIME and SUMMER HAIKUS. But it turns out that I would rather have the more intricate covers for my contemporary romances and science fiction series done by a professional, so I have also hired a cover designer, Najla Qamber, to handle both of those. She’s awesome! 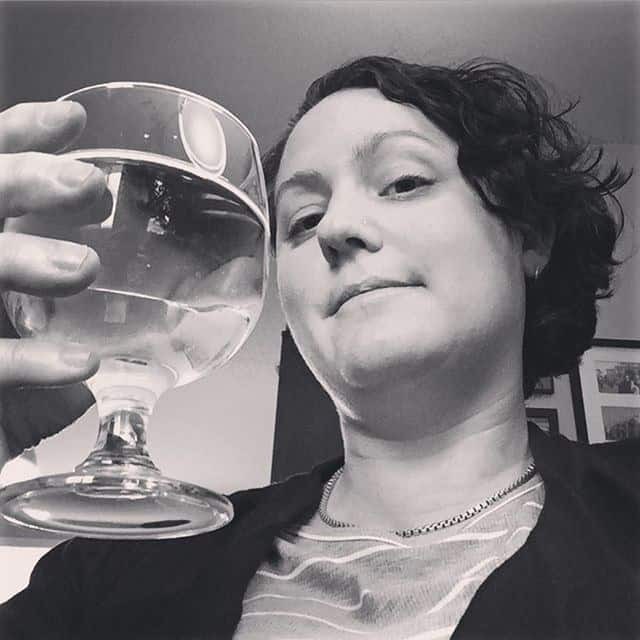 She designed the current covers for both FACE TIME and SUMMER HAIKUS, and she’s working on new covers for The Nogiku Series. But the simpler covers for my cozy mystery and short stories, I have no problem with designing! For the Miso Cozy Mysteries series, I did a lot of research on what works well in cozy mysteries before I started designing. I looked at hundreds of covers and found that the majority of them used illustrations for their designs. 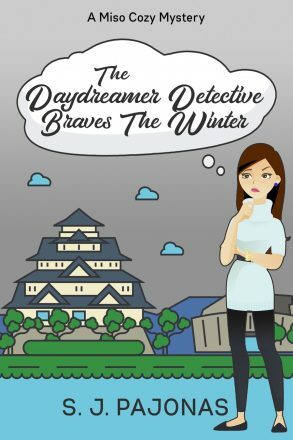 So I then brainstormed about what I’d do for a Japanese cozy mystery. I searched for illustrations of Japanese women and came away disappointed. Many were too stereotypical (wrongly drawn kimonos and chopsticks in their hair. NO.) and others were too sexualized. I had to change my searching. I went with Japanese scenery and found the flat illustrations that you now see in the first two covers of the series. I combined the scenery with a grassy field and silhouette of a woman, instead of a full-on illustration of a face and body. This felt more authentic to me. For my short stories, since each is about a different object and the god contained within them, I choose a singular image for the cover. The fonts were fun to pick as well. The yellow text, stroked with black, is a deliberate choice as yellow text on covers catches the eye and pulls people in. I usually spend a lot of time searching for the perfect image for these covers. If I can’t find one, I take one myself! 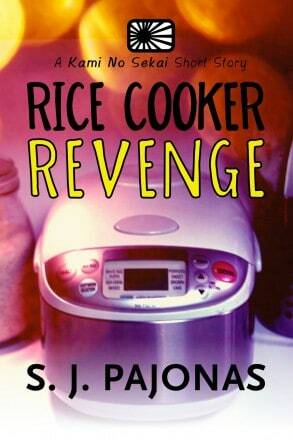 This rice cooker on RICE COOKER REVENGE‘s cover is my very own (I treat it very well, thank you). When I’m deciding on a cover design for a book, I spend a lot of time looking at similar books in the same genre. Sometimes, I look at hundreds of covers! My eyes blur and my head swims. It’s a lot of research. I surf through the best sellers on Amazon and look at the top picks on Kobo as well. Once I have an idea of what works in a genre (objects or couples in romance or space, stars, and spaceships in science fiction), I make an inspiration board on Pinterest. I will spend a lot of time searching images on DepositPhotos and Creative Market until I have a jumping off point and then I go from there. Once I have some good examples of my direction, I then take my covers to my private Facebook group and ask for feedback. My good pals are very helpful and usually jump in to tell me what’s working and what’s not. I will say that it has been nice to hand off some of this work to Najla. I already do a lot to make my books become a reality, and not having to make ALL the covers is a significant load off my shoulders. But the ones I do design are a lot of fun for me! Thanks for asking this question, Lola! If you have a question for me, too, leave it in the comments or feel free to send me a note via the Contact page.